This course has been developed in a response to the growth in regeneration policies and practice at regional, city and neighbourhood levels. It is intended for practitioners in the statutory and non-statutory sectors who are involved in regeneration activity and who wish to gain a postgraduate qualification to complement their vocational experience, enhance their potential for career progression and develop a better personal understanding of their job. It is of interest to a wide range of people working in related areas - economic development, housing, community safety, planning, social welfare, or community development - who wish to enhance their understanding of the regeneration world and develop their knowledge and skills in this area. This course mainly focuses on UK policy and practice, and it may therefore be less suitable for international students intending to work in their home countries. We normally require a first degree of 2:2 or above, usually in a related subject. We will also consider applicants with an appropriate professional qualification or substantial relevant experience. 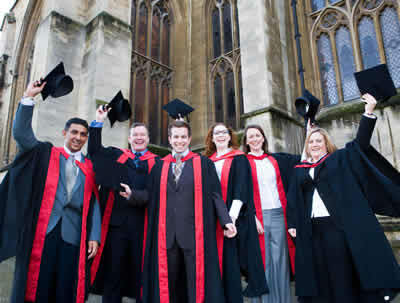 -An excellent reputation for the quality and range of courses offered. 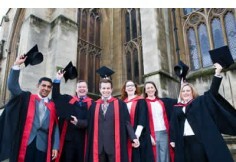 The Faculty achieved excellence in the most recent HEFCE Quality Assessment. -Supportive staff led by nationally recognised academic leaders in the urban policy and regeneration field from the UWE Cities Research Centre. -Involvement in a wide range of relevant research projects supported by the Economic and Social Research Council (ESRC), the Joseph Rowntree Foundation, the Department for Communities and Local Government (DCLG), and the European Commission. -Active involvement of staff in national (DCLG/Social Exclusion Unit/Neighbourhood Renewal Unit) and regional (South West RDA / Bristol Regeneration Partnership) policy and practice development. -Excellent library and Information Technology facilities. -A good gender balance amongst the staff. The course is available in Distance Learning mode through a set of modules. Each module provides 15 credits towards the course, except for the dissertation of 60 credits. -Master of Science 180 credits (including 60 for the Dissertation). The Master's degree can be completed in two years, but students generally plan to study over a longer period to allow for work and other commitments. The course is built from a set of free-standing but interrelated modules. Modules are regularly reviewed to ensure that they remain up to date and relevant, so some of them may change whilst you are on the course, but the overall aims and broad content of the course will remain the same. The module covers the history of urban and rural regeneration from the New Towns to Neighbourhood Renewal. It illustrates the changing attitudes and policies of government to regeneration over differing administrations, and identifies the underlying problems of urban and rural change which policies have attempted to address. The module falls into two parts. The first looks at the nature of urban and rural life and the problems which these different forms of living throw up, at the evolution of concepts which help us to understand cities and the countryside, and at the history of policy initiatives which attempt to meet the regeneration needs of urban and rural areas. It examines the evolution of policy and practice up to and including the most recent developments. The second part looks at communities of place and interest - at definitions of the neighbourhood and at the community oriented policies which seek to support neighbourhood based regeneration. It looks also at the evidence of area-based initiatives and their impact and at the relationship between health and regeneration. The main aim of this module is to examine the nature and processes of contemporary social and economic change in urban and rural areas. Thus, the module provides a broader social and economic context within which other modules within the Urban and Rural Regeneration course are situated. Specifically, the module examines social and economic change in contemporary Britain, sociological perspectives on social and economic change, social inequalities in urban and rural areas, economic perspectives on social and environmental issues, social and economic transformations in cities, and social and economic change in rural areas. The materials cover the emergent 'new governance' through discussion of the role of the State; the operation of governance at national, regional and city levels; and collaborative working and partnerships. The module also covers a number of integrative themes - democracy, leadership, accountability, territory - as well as addressing some key current policy issues (Local Strategic Partnerships, Community Planning, the new political management and social exclusion). The potential role of the non-profit and community-based sectors, the need to work across sectoral boundaries, and the requirement to draw in service users and those directly concerned with economic and social issues, are increasingly seen as pre-requisites for effective solutions to local issues. The module aims to provide an understanding of community and locality, along with the values and methods within community development, and an introduction to the skills necessary to involve and empower citizens and community organisations. This module looks at the assembly of information as the basis for description and analysis, problem definition, and political, professional and community debate about the locality; the use of information to develop options, weigh up choices and take decisions; the use of information to assess what is happening during the process of intervention (monitoring and performance review); and the examination of what happened after it happened, ie outcomes from local programmes and initiatives (evaluation). Students will be introduced to the main sources of small area data across a number of fields - economic development, community safety, public health, environment and sustainability, incomes and poverty - with emphasis on accessing and using both the Neighbourhood Statistics Service and the 2001 Census. This module provides an introduction to the philosophy and methods of research. It is geared both towards theory in terms of introducing a number of conceptual issues surrounding the nature and styles of research, and towards policy and practice in that they consider the generation, application, conduct and use of research for policy. Students are asked to think about the specification and commissioning of research as well as about the ways in which it is undertaken. Research for Policy and Practice underpins all the work on the course and helps prepare you for the dissertation and introduces a range of approaches essential for analysing regeneration needs and potential and for measuring the effectiveness of initiatives. The module includes a short induction programme and students receive personal tutor support. The 60-credit MSc dissertation is a substantial piece of work (16,000-20,000 words), involving an element of systematic research, which is conceived and completed by the student (with the help of a supervisor). The dissertation aims to provide experience of advanced independent inquiry, working near the boundaries of current knowledge and theoretical debate in the field of urban and rural regeneration; to develop the capacity to engage in sustained, rigorous enquiry at Master's Level; to develop the intellectual skills required to complete a dissertation at Master's Level; and to develop the ability to communicate ideas clearly and lucidly. This module covers the nature of youth criminality and its prevention, the reduction of youth offending levels, criminality and anti-social behaviour, developmental needs of young people, youth work and community safety strategy. The module also looks at personal safety issues. This module looks at crime prevention strategies for town centres, management approaches, cultural animation and crowding out crime, design and physical security, CCTV, codes of practice and customer relations. The module also covers personal safety in the work place. Great emphasis is being placed on 'what works'. But how do we know what works and why it works? This module examines the theory and philosophy of evaluation, examining differing approaches to summative and formative evaluation, and the role of stakeholder, responsive, democratic, and experiential styles of evaluation practice. The module also looks at baselining, at indicators, at inputs, outputs and outcomes, and at the Treasury definitions of additionality and displacement. The module uses real life examples of evaluation in economic development, community safety, and environmental management as well as looking at the nature of evaluating community capacity building and the operation of partnerships. The majority of assessment is by essay and project work, with a log journal to be completed as coursework proceeds. Emphasis is placed on the student's ability to set and meet their own objectives and deadlines; to select appropriate styles of communication for complex tasks; and to interact sympathetically and ethically with the materials to complete the required tasks.